Meeting Minutes – November 2017 | F.F.A.M. Vice President Larry Jennings called the meeting of the Board of Directors of the Fire Fighters Association of Missouri to order at 9:00 a.m., Sunday, Ocotber 1, 2017, at the Missouri State Fair Fire Department in Sedalia, MO. First Vice President Larry Jennings, Johnson County FPD; Second Vice President Grant Oetting, Higginsville FPD; Secretary Treasurer Jaime Miller, Johnson County FPD #2. District 2, Greg Wright, Shelbina FD; District 3, Larry Jones, Madison West Monroe FPD; District 4, Joe Vaughn, Pleasant Hill FPD; District 5, Terry Plumb, Southern Stone FPD; District 11, Monty Thompson, Kearney FPD; District 14. District 1, Janet Cain, Braymer Fire; District 2, Vernon Cash, Shelbina FPD; District 3, Steve Gentry, Rob Erdel, Little Dixie FPD; District 4, Jonathan Evans, Lincoln FD; District 5, Shelby Phifer, Southern Stone FPD; District 10, Greg Brown, Eureka FPD; District 14, Glen Dittmar, South Central Buchanan Co FD. Greg and Brenda Carrell, Missouri Division of Fire Safety; David Hedrick, Gail Hagans, Kevin Zumwalt, MU FRTI; Larry Eggen, Johnson County FPD; Doc Kritzer, Memorial Foundation; Harriett Vaucher, Eureka FPD. Vice President Jennings asked for additions to the agenda. Grant Oetting moved to accept the agenda as presented. Monty Thompson seconded the motion and all approved. Vice President Jennings asked for additions or corrections to the August 6, 2017, meeting minutes. Larry Jones moved to accept the minutes as presented. Terry Plumb seconded the motion and all approved. Vice President Jennings asked for a review of the July – August 2017 financial reports. Greg Wright moved to accept the financial reports presented. Monty Thompson seconded the motion and all approved. Director David Hedrick with MU FRTI advised that the annual report has been published. So far for this new fiscal year, 239 courses have been scheduled and 39 have been completed. 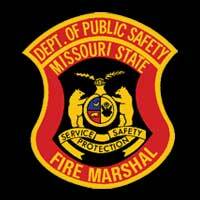 The Missouri Emergency Services Instructors Conference will be held November 2-5 in Lake Ozark. There are still openings. On August 24, there was an Advisory Council meeting. Discussion was held on operations and planning for MU FRTI. The group is making great progress. 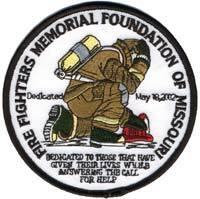 October 8-14, is Fire Prevention Week and October 7-8, is the 36th annual National Fallen Firefighter Memorial. He encouraged everyone to participate in these two national events. Hedrick advised he will be retiring this month. There will be a retirement reception on October 18, at MU FRTI and everyone is invited to attend. Kevin Zumwalt will be the interim director. Assistant State Fire Marshal Greg Carrell with the Division of Fire Safety advised that the memorial stair climb held at DFS was well attended and he thanked everyone who participated and helped with the event. It will become an annual event. A Live Fire Instructor course will be held at the Instructors Conference. There will also be several inspector courses coming up at College of the Ozarks. He thanked David Hedrick for his service and the great partnership between MU FRTI and DFS. All of the investigator positions in the DFS have now been filled and there are two openings remaining for inspector positions. Discussion was held on the fire service history book being created by Bill Westhoff that was approved at the April business meeting. Gail Hagans advised that MU FRTI is willing to assist with the project by storing the books and shipping them out when ordered. An online store will be created on the FFAM website. Billing/payments will be handled by Secretary Miller and shipping will be handled by MU FRTI. Discussion followed. Monty Thompson moved to partner with MU FRTI to store and ship the books. Glen Dittmar seconded the motion and all approved. The goal is to have the book completed, published and available for Winter Fire School. 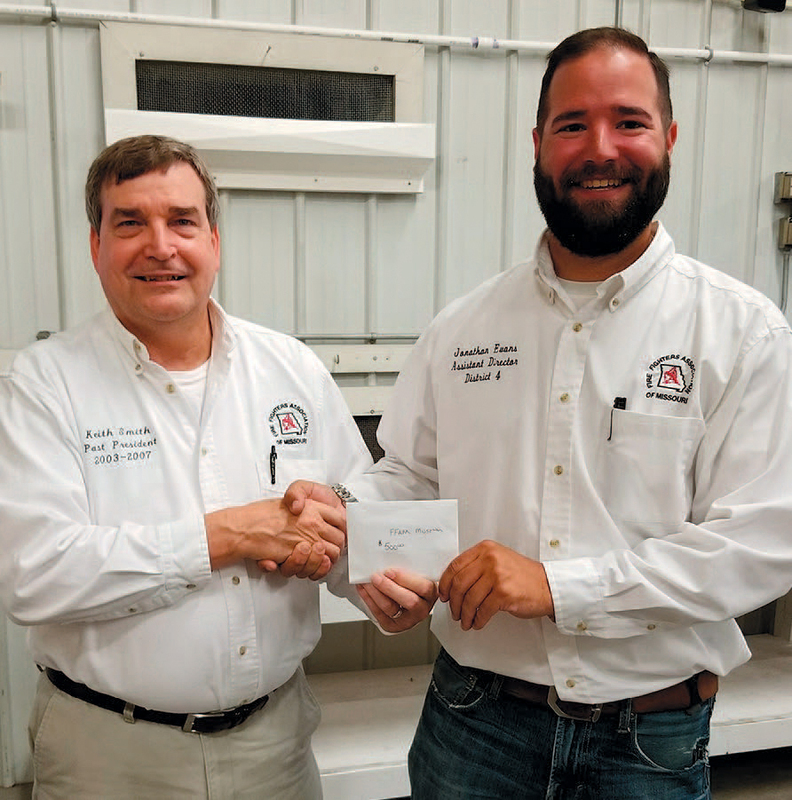 Vice President Jennings advised that the Buchanan County Fire Chief’s Association will be assisting St. Joseph Fire Department with the funds for the 2018 Convention. The Association wanted us to be aware that not all departments that belong to that Association are members of FFAM. Discussion followed on any membership requirements. Greg Brown moved that not all departments in the Buchanan County Fire Chief’s Association need to be members of FFAM in order to assist with then 2018 Convention but they are encouraged to join. Monty Thompson seconded the motion and all approved. Larry Jennings advised on behalf of Joe Jennings that nominations are due Feb. 28 and can be submitted at any time. Everyone is encouraged to nominate. Larry Jennings advised that the committee is working on the budget and it will be out prior to the December meeting for review. David Hedrick reported that the Missouri Fire Chaplain Corp annual meeting/training was held on Sept. 18-19 in Arnold, MO. The Corp will be partnering with MU FRTI to provide classes at Winter Fire School. The Federation of Fire Chaplains meeting will be October 22 – 26 in Oklahoma City. Rob Erdel advised that he doesn’t know the location of the contest yet but he is working on it. Larry Jones advised that he has not received any updates from St. Joseph Fire Department. Larry Jennings advised on half of RB Brown to please push the poster contest in your local schools. We would like to see more participation in departments throughout the state. Greg Brown advised that the Fire Service Alliance continues to meet. They are working to try and set standards for fire fighter training in Missouri. 9-11 legislation will be on the agenda this year. Fire District Board training is an issue in several areas and continues to be a topic of discussion. A presumptive cancer bill is also in the works relating to cancer in the fire service. He encouraged anyone who has questions or concerns to contact him. Grant Oetting reported the following membership counts: 457 Directors/Councilman; 270 Retired; 17 Associate; 11 Sustaining; 18 Corporate, 354 Departments; 6556 Active; 10 Educational; 47 Juniors. Keith Smith reported that he and Greg Wright attended the fall meeting. In national news, the hurricanes have over shadowed the wild fire situation. $2 billion has already been spent fighting the fires and that number continues to grow. 300 fire fighters have lost their homes in the Texas hurricane. 25 fire stations and 145 apparatus were also destroyed. The Homeland Security FY 2016 is over and grants are now closed. 8300 users on the Make Me a Firefighter website through Recruitment and Retention didn’t get their grants renewed. Regarding the AFG grants – 10% of volunteer fire departments received some funding. NVFC has a new slogan and logo. It is Stronger You Stronger Crew. The Share the Load assistance campaign is still a very active program with an average of over 80 calls per month. NVFC membership is up 28% from a year ago. Training is available online for members. There are several two-hour trainings also available for departments to access. The recent Benefits Conference discussed big topics including PTSD, PSOB and cancer. The average person stays on a fire department for 5 years so ways to change membership and benefits were discussed. Technology continues to be a big topic as well. There is now thermal imaging technology that goes through a cell phone. Mapping and GPS technology are also up and coming. The opioid crisis continues to be a big factor with emergency services. 32 million doses of fentanyl were seized in New York this week and recent exposure case had 7 responders who were affected by the exposure. 34 states are working on presumptive cancer laws. 5 states already have the laws in place. They are also working on a national registry for reporting. NFPA is working on setting standards. 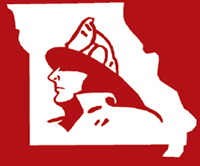 Discussion was held on increasing NVFC membership in Missouri. Greg Wright advised that the goal is 24,500 by the spring of 2018. 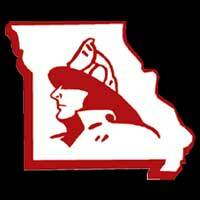 If Missouri gets 500 individual members to sign up, then the FFAM membership fee is waived. Larry Eggen advised that he has been approached by an individual who would like to apply for the Continuing Education Scholarship however, the program he would like to attend is only available in Oklahoma. The scholarship rules advise the person has to attend training in Missouri. Discussion followed. The Board advised not to exclude an individual who wishes to pursue specialized training outside of Missouri and that the Scholarship Committee can make the final determination. Eggen also advised that he would like to have Ed Daugherty from Chillicothe fill the vacant position on the committee. Monty Thompson advised that they had a very successful year at the State Fair. There were no leaks in the roof. The 2018 fair is August 8-18. 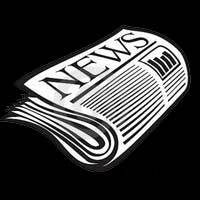 The deadline for the next newsletter will be November 1. Harriett Vaucher advised that the team is working on quotes for another trailer. Keith Smith advised that the Museum Foundation will be meeting with builders in a couple of weeks along with an architect. They are making progress on design concepts for the building. The Foundation is also working with Brian Zinanni on several issues including LODD, PSOB and cancer benefits. Smith encouraged everyone to send him names as soon as possible for those fallen firefighters who need to be recognized at the 2018 memorial services. Jonathan Evans presented a donation on behalf of the Missouri State Fair Fire Department to the museum project. Glen Dittmar moved to adjourn the meeting. Jonathan Evans seconded the motion and all approved. President Hoover adjourned the meeting at 10:45 a.m.